In our daily online travels, the Imagineer staff meet artists from all over the world using on mocha on creative projects. These artists are working on literately everything: high-end feature films, broadcast TV shows, even wedding videos and everything in-between. Recently we talked to filmmaker Jeff Desom, whose innovative short films and installation work showcases a wonderful combination of visual effects know-how and artful process. Jeff shared some thoughts on his work and how he has incorporated mocha as a creative tool in his process. “I’m a freelance director, writer and visual artist. I work between Los Angeles and my native Luxembourg. Very early on I realized how VFX could truly elevate my personal projects and how important it was to continually develop these skills, especially when faced with budgetary restraints. 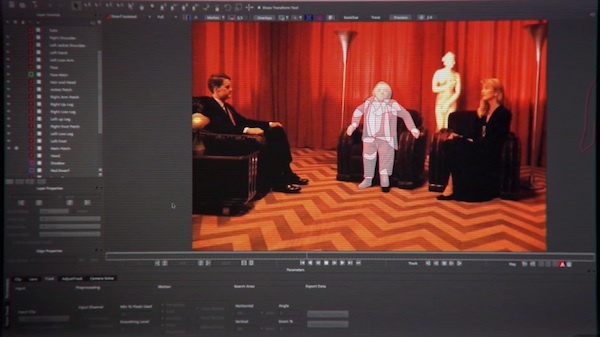 While VFX play a very important part in my work, I never specialized on the post-production side of things exclusively. “In recent years I have alternated between directing life-action and creating experimental video projects. Ever since my reworking of Alfred Hitchock’s Rear Window, I’ve been getting more and more commissions from the art world. Having my work displayed in museums and galleries is nothing I ever planned for, but I’ve encountered a great openness towards new ideas that don’t fit into my life-action line of work. By the way, I didn’t even know mocha existed when I made the Rear Window project. I stabilized everything using only After Effects’ built-in tracker. In hindsight, I realize just how much time I could have saved if someone had told me about mocha! (An interactive piece of the Rear Window installation is currently on display at the Museum of the Moving Image in New York. “Holorama was an idea that I came up with in response to a commission from the Luxembourg Film Festival. I had experimented with the analog Pepper’s Ghost illusion before. Mixing this century old trick with new technologies created some very interesting results. With Holorama I continued to explore merging the old and the new.